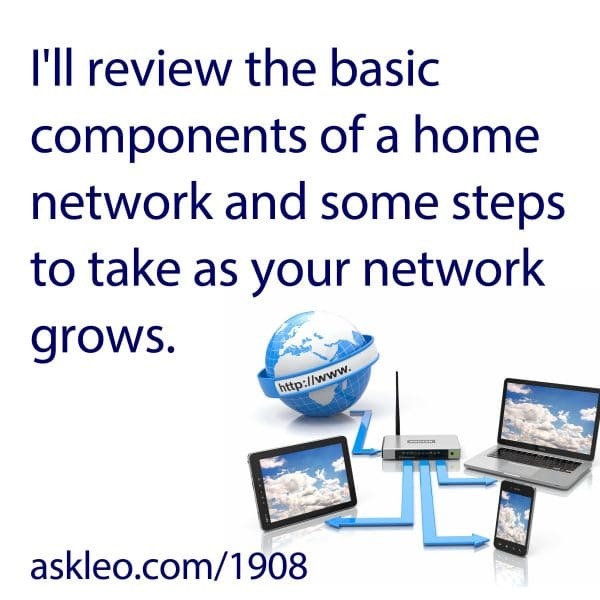 I'll review the basic components of a home network and some steps to take as your network grows. - Ask Leo! I’ll review the basic components of a home network and some steps to take as your network grows. Who Is the Administrator of my Home Network? - Some Windows messages indicate something was set by your network administrator. That's probably you, even if you didn't do it. « Previous post: How do I get rid of this advertising popup that keeps coming back?